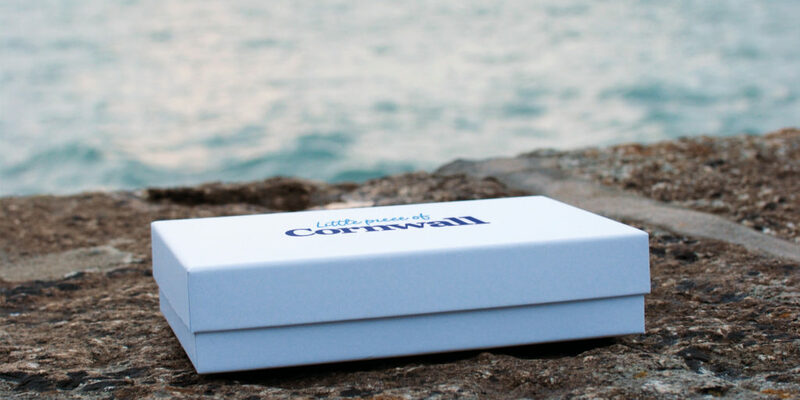 We review the all-new Little piece of Cornwall subscription box – bringing the ultimate lifestyle by the sea to you, wherever you are. 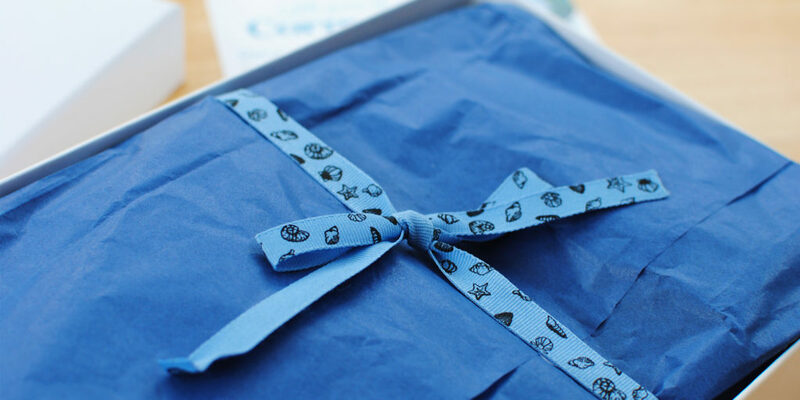 Subscription box services have been popular for a number of years now, delivering care packages to subscribers with a multitude of different tastes and interests. Indeed, these boxes can (and do) contain any number of items, from foodie treats and healthy recipes, to health and beauty products, coffee, even wine! 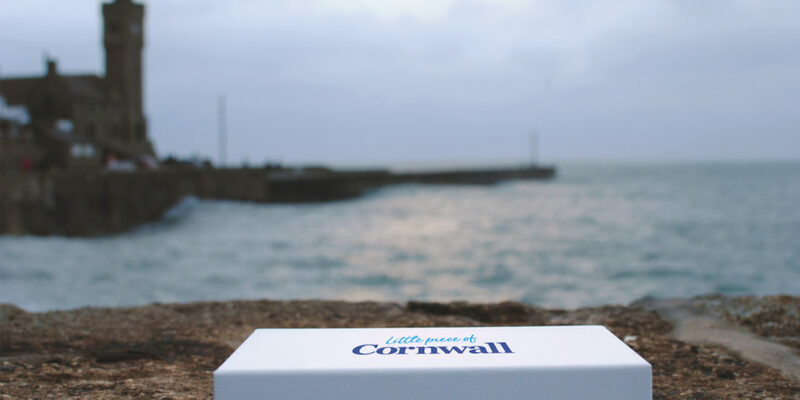 And yet, despite this, we’ve yet to find a subscription box service that caters to those who love Cornwall. That is, of course, until now. 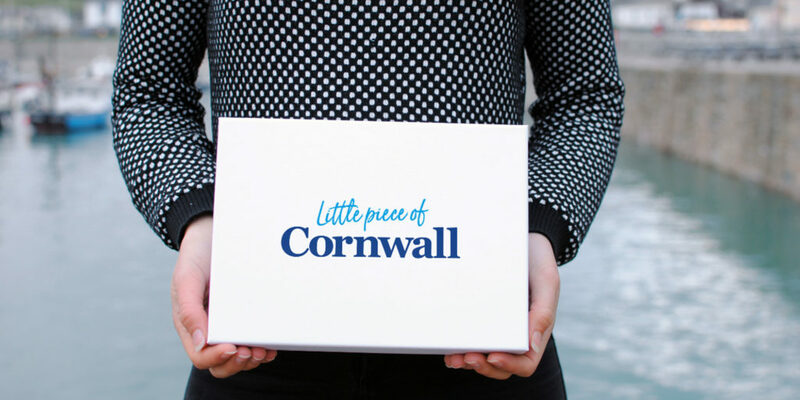 The Little piece of Cornwall monthly subscription box promises to provide just that – your own little piece of the Duchy. Delivered on a monthly basis, the box itself is stylishly understated – snow white with minimal gold foiling. As you lift the lid the excitement continues to build, with bow-tied tissue paper concealing the contents, inviting you to tease apart the ribbon and initiate the big reveal. The packaging is immaculate, but of course that’s only the beginning. Inside you’ll find a mixture of items that give this month’s theme a definite foodie slant. 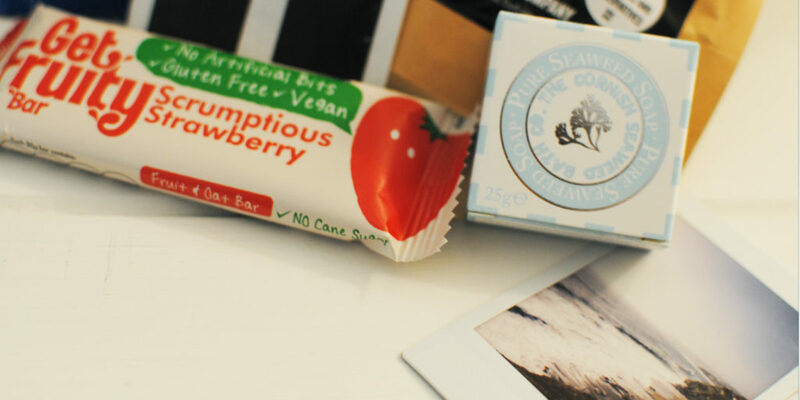 A delicious Get Fruity Bar – free of artificial bits, completely gluten-free and vegan friendly – makes the perfect addition to tomorrow’s lunchbox, while the Smugglers Brew tea from Cornish Tea and Coffee pairs beautifully with the Original Cornish Fairings from Furniss Biscuits. 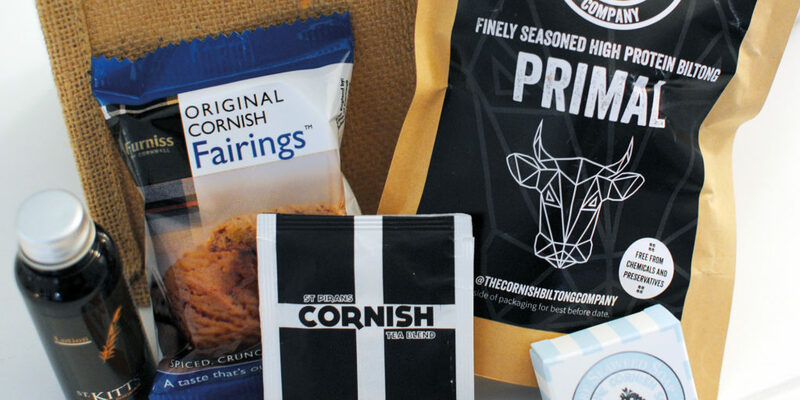 There’s also a bag of chilli-flavoured biltong from The Cornish Biltong Company – a delicious, protein packed snack that’s sure to dovetail nicely with your New Year regime. Finally, beneath all of this you’ll find a jute bag from The Cornish Jute Bag Company, perfect for enclosing gifts or as a handy tote for taking tasty treats to work. 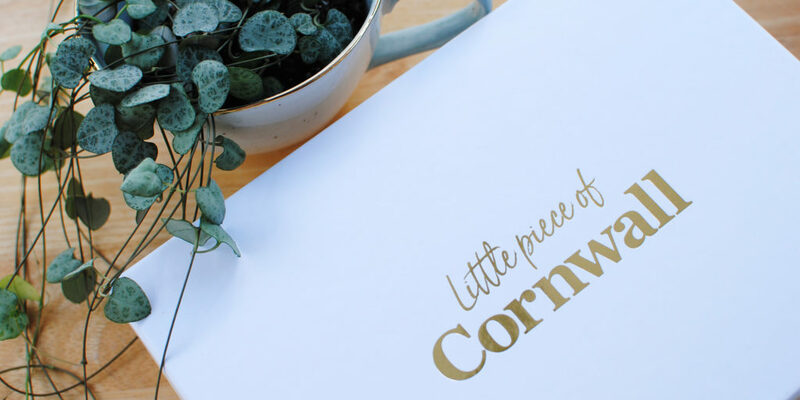 As a final touch, each subscription includes a monthly copy of Cornwall Living, keeping you abreast of everything you need to know to make the most of Cornwall, whether you live here or are planning a visit. 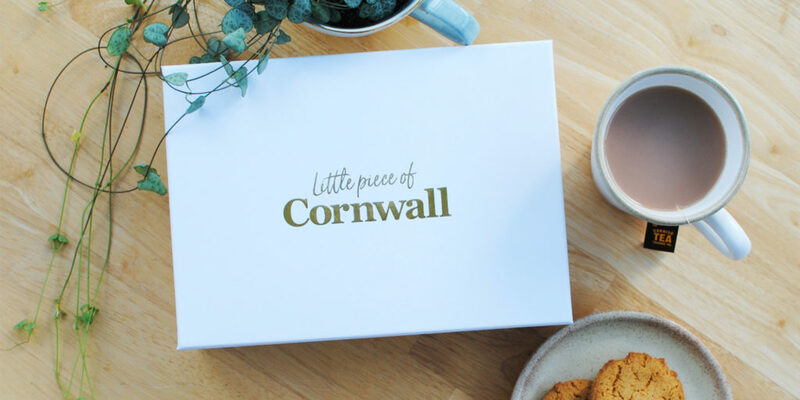 Whether you live here, have Cornish holiday memories that you cherish or plan to retire in Cornwall, the Little piece of Cornwall subscription box offers you a hand-picked selection of treats and products from some of the finest brands ‘born and bred’ in the Duchy. Put simply, these boxes will allow you to enjoy the ultimate lifestyle by the sea, wherever you are. Whether it’s for you or someone you know that loves Cornwall, subscriptions cost just £119.88 for 12 months, £77 for six months or £41.99 for three months. 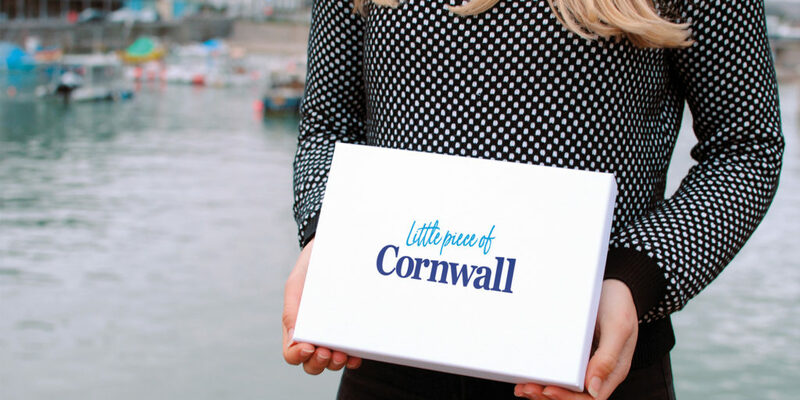 To find out more about how the service works and to subscribe, be sure to head to the Little piece of Cornwall website. For those of you who’d like to purchase a subscription, be sure to make the most of our exclusive readers’ offer: quote ‘CL82FEB‘ when you order to receive a 10% discount! Without giving too much away, the next box will be all about relaxing and unwinding – something to look forward to after a stressful start to 2019! "As you lift the lid the excitement continues to build, with bow-tied tissue paper concealing the contents, inviting you to tease apart the ribbon and initiate the big reveal."